A few months ago, I was talking about The Best of Fine Cooking Chocolate on this blog, about how it was the most beautiful magazine issue I’d ever received and how these were the most superb incarnation of the turtle bar that I have yet to discover. And here I am again, already back talking about that same issue. And not only that, but this recipe is another one that utilizes the brilliant pairing of cinnamon and chocolate. 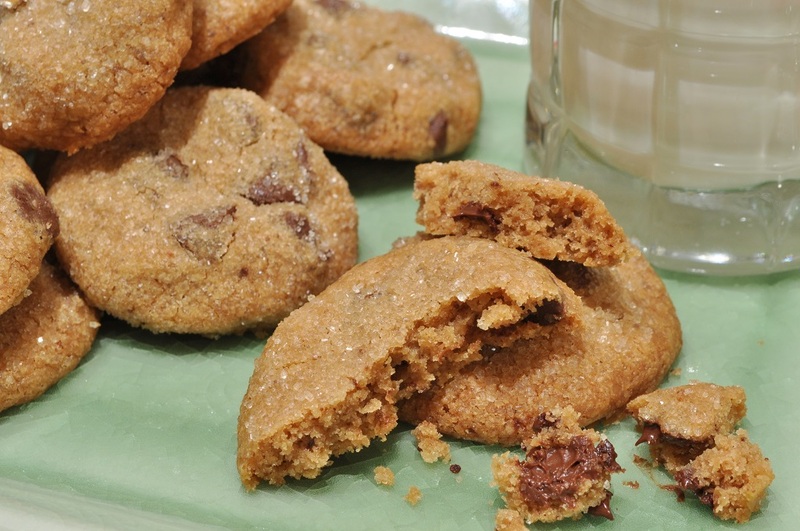 However, these sparkling cookies also incorporate espresso powder, completing a trio that I have loved since the days of my pastry school externship. I was working at a wedding cake shop in Falls Church, Virginia, where we made cakes in all sorts of lovely, inventive flavours, but only had one recipe for chocolate cake. And that was simply because it was the best chocolate cake recipe in the world. There was no point in having another one. It was a rather odd recipe, I remember, because everything, even the flour, was scaled in a liquid measure cup. For all our other cakes, we weighed out the dry ingredients. But it was the addition of cinnamon and espresso powder that really made the cake unique. I don’t think that anyone would have guessed that those ingredients were in the cake: you couldn’t distinguish the flavours of either coffee or cinnamon in the finished product. All you tasted was an incredibly fragrant, richly chocolate cake. However, I knew what the secret was, and I’ve been enamored with the combination ever since. 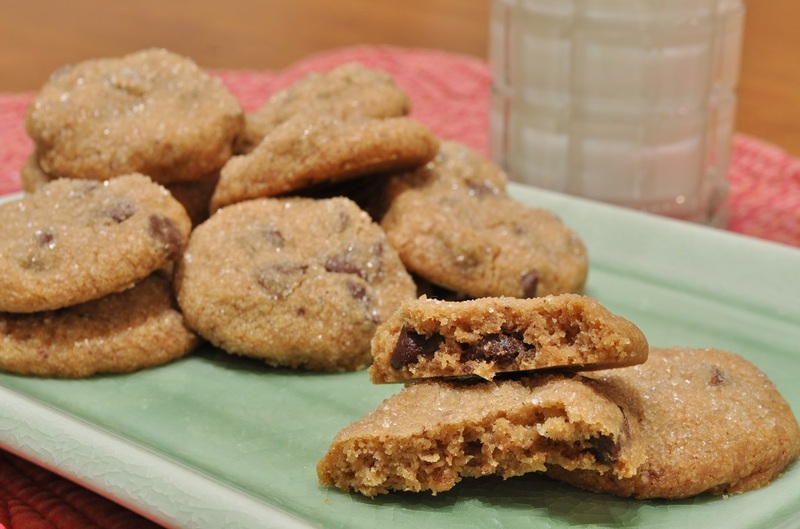 In this recipe, the trio packs a dazzling amount of flavour into miniscule cookies, which look deceptively like ordinary chocolate chip ones. Only the slight glimmer of granulated sugar on the top warns you that these are cookies meant for a special occasion. Then you bite into one, and taste the bitter undertones of the espresso powder, contrasting perfectly against the sweet cap of sugar, the warm spiciness of the cinnamon, and the rich toffee notes from the brown sugar and the cookie’s crispy golden edges, and realize that you have been misled by appearances. 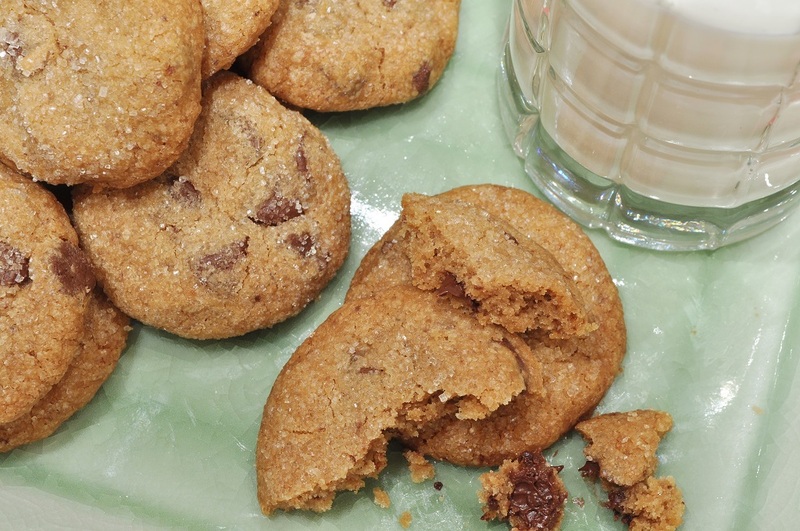 These are definitely cookies for the adult palate. Please do not give them to children to dip in milk as an after-school snack. I’m sure they would be unpleasantly surprised. Instead, bring them to one of your grown-up parties this upcoming Christmas season—the glitzy shine of granulated sugar and festive pairing of spice and chocolate makes them a perfect choice—and watch them steal the show. The grown-ups will be surprised, too, but in a good way. And as the theme for this month’s Biscuit Barrel Challenge, hosted by Laura of I’d Much Rather Bake Than . . . , happens to be “Festive and Party,” I just had to submit these! No eggs or nuts, you’ll notice, so that eliminates a few allergens—always something to keep in mind when baking for a party. 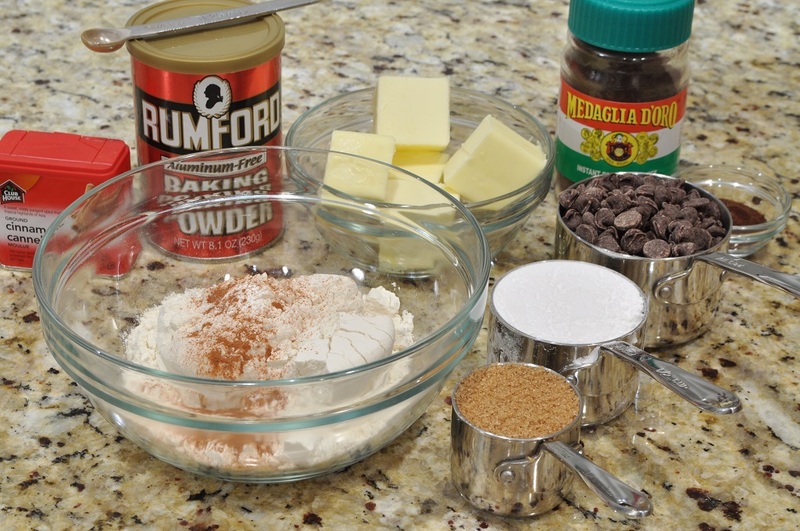 In a small bowl, whisk together the flour, baking powder, cinnamon, and espresso powder. In the bowl of a stand mixer fitted with the paddle attachment, cream the butter until light and smooth. On low speed, beat in the confectioners’ and brown sugars. Add the flour mixture in 2 or 3 additions, beating well after each addition and scraping down the sides of the bowl. 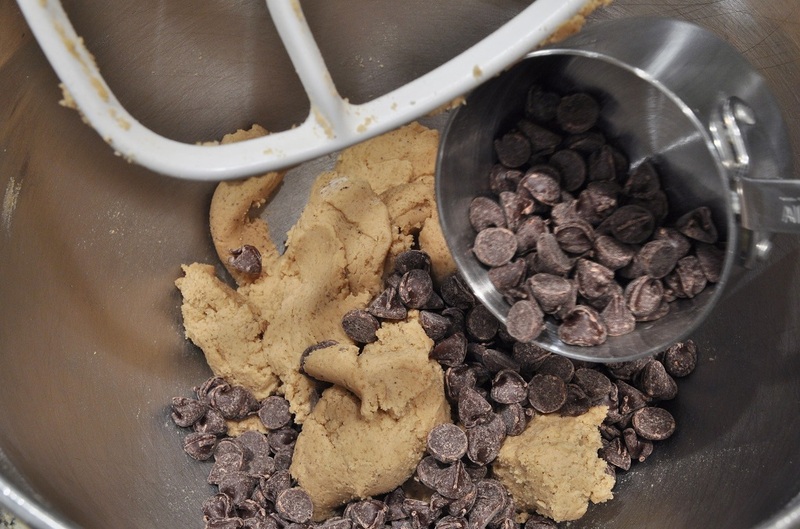 Once all of the flour mixture has been incorporated, mix in the chocolate chips. 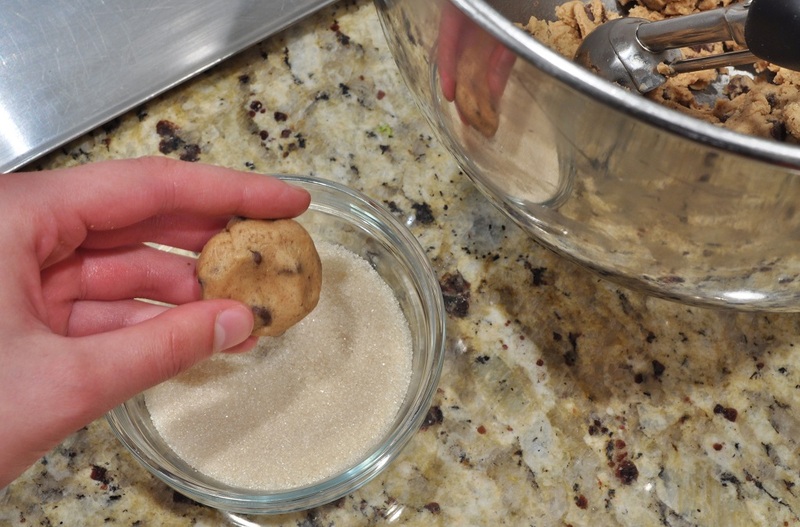 Pour a few tablespoons of granulated sugar into a shallow bowl. Scoop out 1 tablespoon of the cookie dough, roll it into a ball between the palms of your hands, and flatten the ball into a disc. 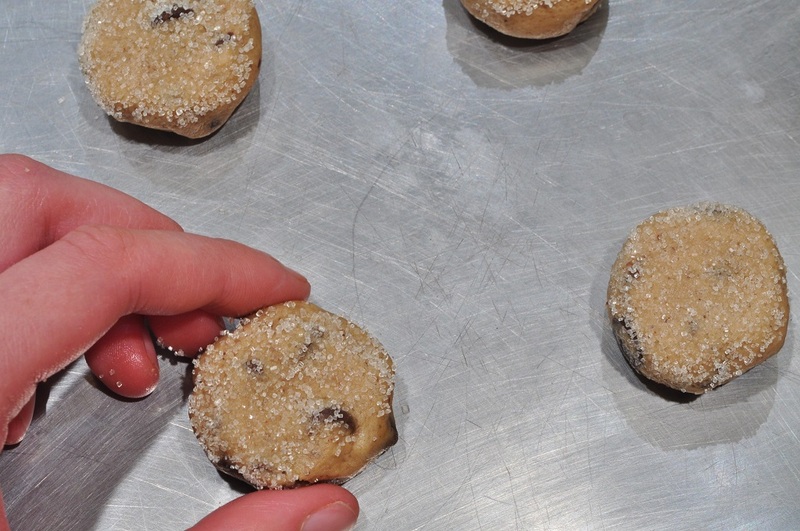 Press one side of the disc into the granulated sugar and then place the shaped cookie on an ungreased cookie sheet, sugar-side-up. 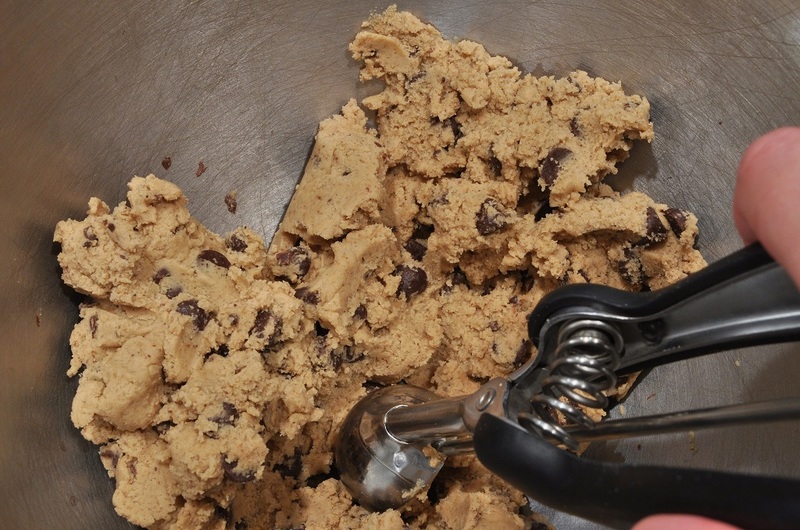 Repeat with remaining dough, spacing cookies 2 inches apart. You should be able to fit the cookies on two trays. Bake the first tray until the cookies are golden around the edges, about 12 minutes. Let cool on the pan for 1 or 2 minutes, and then transfer to a wire rack to cool completely. Repeat with the second tray. My pleasure! It’s a great challenge, and I hope to join in frequently. Cookies (or biscuits) are endlessly fun to create! What a great recipe! 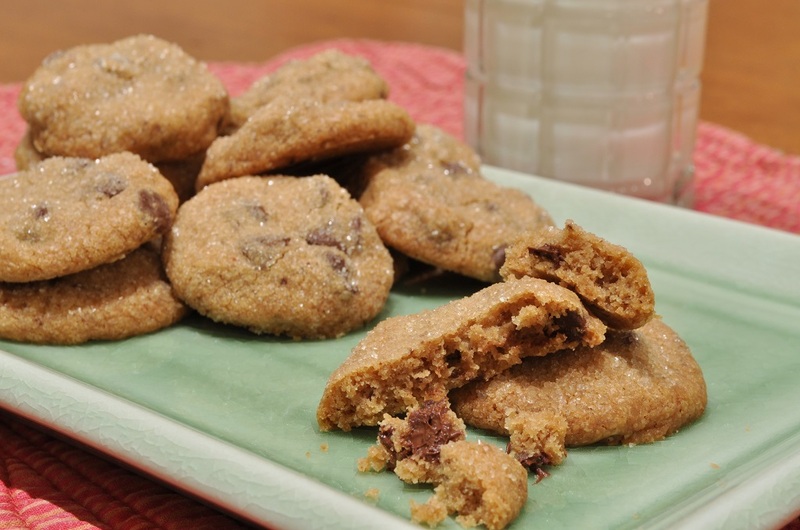 I am going to make these for a cookie exchange, I think the cookies will be nice twist on some classic (delicious) flavors.